Our George Street Church and the City of Chester have suffered a great loss by the death of Mrs. Elizabeth Lanceley. We cannot give anything like an adequate idea of her life and varied Christian service in the space allowed us. She had in a marked degree the experience, character, and graces which grow out of vital union with the living Christ. She knew little of the theology of the schools, but she knew more of the mind and heart of God than books could teach her. Many a time has the writer sat as a humble disciple while she has talked of the deep things of God, as only one taught of the Spirit can talk. Strength and beauty, faithfulness and gentleness, a keen sense of righteousness and tender compassion were harmoniously combined in her character and actions. And according to her ability, which was not small, she endeavoured to do good unto all men, especially unto them who were of the household of faith. 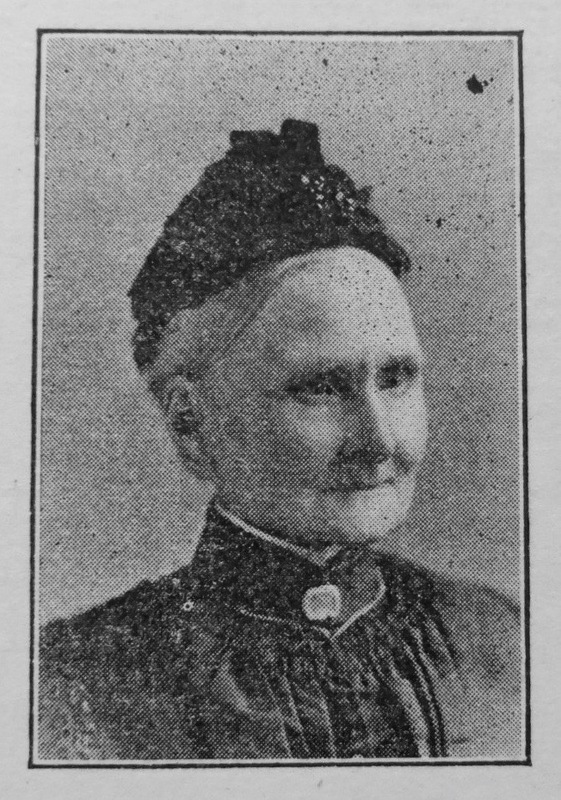 Our sister was born in Liverpool, September 16th, 1832, but soon after her birth her parents settled in Chester. She was united in marriage to Henry Lanceley, November 30th, 1851, and subsequently went to live in Manchester, and after a brief residence, removed to Burslem, and remained there for several years. It was while living in Burslem that our sister was converted. In 1864, the family returned to Chester, and our sister became identified with our George Street Church, and served it with all her heart. Her house was the home of a class meeting for about twenty years, and during many of those years she discharged the duties of leader with great acceptance and profit. She was one of the stays of our Sunday evening prayer meetings. The pathos and unction of her prayers, and the way in which she sought out penitents and led them to the cross can never be forgotten by her comrades in service. She took a deep and practical interest in every form of church work, whether financial, social, or spiritual. Her purse, her hands, her voice, and her all were cheerfully laid upon the altar of service. But her greatest service was among the poor and the sick. . These always appealed to her sympathies and commanded her aid. Like the messenger of God she was, she sought out the needy and relieved them; the sick, and nursed and comforted them; the beaten-into helplessness and despair, and inspired and assisted them to make a new start in life. In these missions to the homes of want and affliction she led many a dark soul into Christian light and hope. A book could easily be written about her manifold ministry. People belonging to all sections of the church have borne testimony to her worth, and not a few who are outside the churches drop into the minor key when they mention her name. We shall have to wait for the great revealing day to know how much our church, and the needy, and sick, and dying, owed to our departed sister. It may be said that she was more or less afflicted during a considerable portion of her life of more than three score years and ten. For months, prior to her decease, she was confined to her house, and for some weeks to her bed. Her physical sufferings in past years, as well as in her last affliction, were often great, and sometimes excruciating. But whether in ease or pain, whether with the saints in the sanctuary or in the furnace of affliction at home, her faith never wavered, her Christian fortitude never faltered, her hope of the glory of God never flickered, and her interest in the church and kingdom of Christ never abated. In all and through all, “the joy of the Lord was her strength.” On April 23rd, 1905, she passed away in perfect peace. She was not, for God took her. Elizabeth’s parents were Richard, a stone-mason, and Hannah. Before her marriage Elizabeth worked as a domestic servant. She married Henry Lanceley, a mechanical engineer, (1831-1913) at St Oswald’s Church, Chester. Census returns identify one child.